The new totes are white with royal blue trim and are embroidered with the Friends Logo. 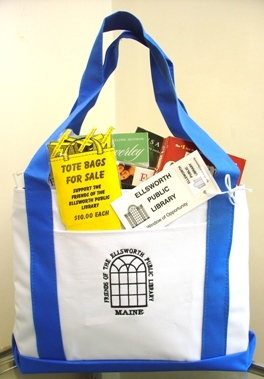 The totes are $10.00 each, check them out at the Circulation Desk. The New Magnets are In! New design Magnets have arrived and are 50 cents each, pick up a couple at the Circulation Desk.